When you’re marketing online, you’re trying to gain a little visibility in your business with search users. Essentially, the heart of your internet marketing is to make yourself appear relevant when they use specific keywords. It sounds easy, but where do the keywords come from? How do you even know which ones to choose? If you’re not using the right keywords for your internet marketing then most of your marketing efforts online will simply flop. Keyword Research for Local Internet Marketing? PFFFT – Why Bother?! Some business owners make the mistake of thinking that coming up with keywords is simple. All you have to do is brainstorm a big list of keywords that you think your customers would use and then optimize your site for them. Experience internet marketing companies, like those of us in Tulsa, know that good keywords come from good research. Here are some tips to help you figure out which keywords to use and how to improve your keyword research. 1. 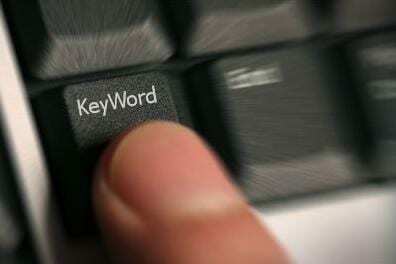 How many keywords does your internet marketing require? Ultimately the number of keywords you need depends on your business. Smaller companies focusing their internet marketing with little range beyond that will likely only need a few keywords per product and service. Most small businesses wind up with about a dozen keywords to target. Larger businesses or beyond seeking national or global reach covering a lot of products will have a larger number of keywords. Your initial number isn’t set in stone but it gives you a good idea of what to expect from your research. While keyword research for internet marketing isn’t a guessing game, there are some obvious keywords that you’ll hit on. These are product and service related (such as “commercial painting in Tulsa”, “internet marketing in Tulsa”, “pool cleaning Tulsa, OK”, etc.). This is where a lot of business owners stop with their keyword research but these are just baby steps. You also need to tag those keywords that aren’t so obvious, yet yield great traffic potential. Everyone has competitors and it’s important to find out what they’re ranking for. Start plugging in keywords to see what they pop up for, or use tools like the Google Adwords tool to tell you the most relevant keywords based on the on page content. Likewise, compare their current optimization to words they’re not ranking for. This can give you a big advantage in the market. If you followed the steps above you probably have a decent list of keywords. At this point you need to refine those words and go after the variations. You can expand this list even further by getting long tail variations of your target keywords. These are expanded phrases that are often more specific. For example, an auto shop might want to optimize for “transmission repair” but they could focus their reach into a specific audience using “manual transmission repair”, “automatic transmission repair”, “affordable transmission repair”, and other combinations. Once you choose your keywords and you begin optimizing your pages, do some simple tests. The steps you take for optimization aren’t set in stone. You should spend some time testing for improved results, conversions, relevancy of search traffic, changes in bounce rates, etc. Use your analytics (before and after) to continue to adjust your keywords as necessary. This way once you know your internet marketing is effective you can expand your reach for a broader market or tighten your efforts locally.